So many different herbs lend themselves well to making infused vinegars. 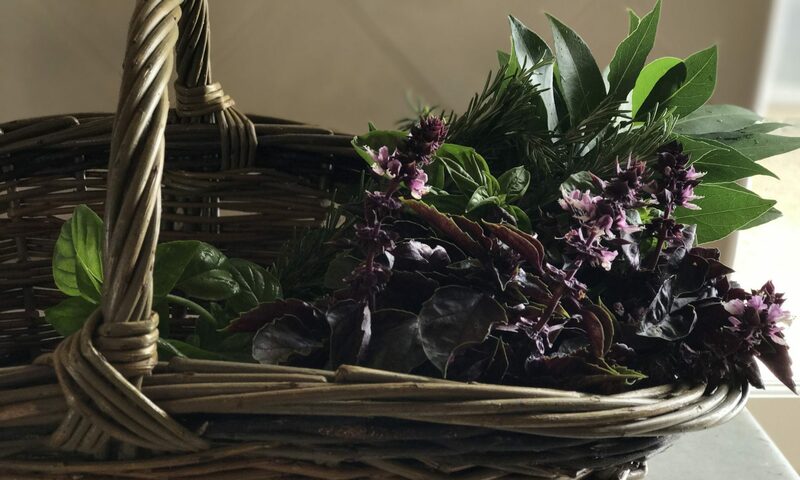 It’s fun and easy to grow your own herbs but we also like the freshest bundles from the farmers’ market. Tarragon, dill, and basil are all classic flavorings, but you can also use more unusual herbs such as lovage, fennel, opal basil, shiso, lemon verbena, chervil, chive flowers, or salad burnet to flavor vinegars. To make herb-infused vinegar, put a few sprigs of your favorite herb into a jar or bottle. Top with good quality vinegar variety such as Champagne, white or red wine, or cider. Let the herbs and vinegar steep for two weeks, then taste. When the vinegar is ready, strain and re-bottle it, replacing the original herbs with fresh sprigs. Due to its acidity, your vinegar will easily keep for six months to a year. Herb vinegars do not need to be refrigerated but are best stored in a cool, dark place. This entry was posted in Preserve the Season and tagged recipe, vinegar.